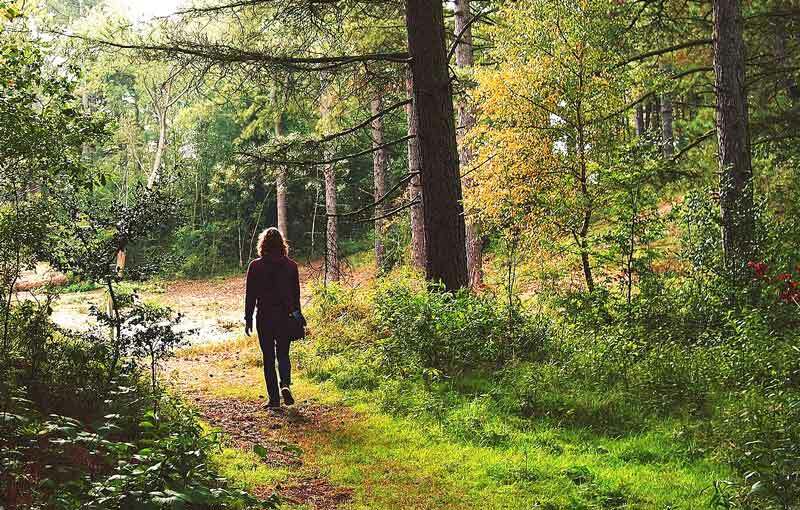 Forest bathing – Shinrin-yoku – is a top trend for healthy living. The idea is to immerse one’s self in nature to awaken all five senses. Studies show that spending time in nature reduces stress and increases well-being. It’s actually the cornerstone of preventive health care and natural healing in Japanese medicine. And it’s the latest fitness trend to hit the USA. Fortunately, you don’t have to travel far to immerse yourself in nature in the Triangle. Yes, there are plenty of parks and trails here, but there are also four amazing public gardens in this part of North Carolina where you can spend hours soaking up nature’s best. While three of these gardens have free admission, becoming a member opens the doors to many deals and discounts with member privileges at all. Members of the Botanical Garden Foundation receive a 10 percent discount on the Garden’s classes, gifts, books, and plant sales, a $6 credit at the daily plant sale, eight free packets of native plant seeds each spring, invitations to special Garden-sponsored events, and their magazine, Conservation Gardener, twice each year. Members also have the satisfaction of supporting a garden committed to conservation. ncbg.unc.edu. The Friends of the Arboretum (FOA) receive many benefits, including free plants at the annual plant distribution on the first Saturday in October, and free admission to FOA lectures and Plantsmen’s tours. Members receive 10 percent off all plant purchases at the members-only preview plant sale in spring and free admission to the Raulston Blooms! spring festival. Members receive discounts from nearby restaurant Neomonde and at many local garden centers and nurseries. jcra.ncsu.edu. Unlimited free admission for 12 months for each member cardholder is a key member benefit (some special events require a separate ticket purchase.) Members also receive a 10 percent discount at the Garden Gift Shop and on facility rental. Preferred ticket prices are given to members for special events including Holiday Lights, summer camps, adult and children workshops, fitness classes, and more. Invitations to member-only events, quarterly coupons and special shopping events at the Gift Shop round out the membership offerings. capefearbg.org. Members receive a 20 percent discount on most education programs, 10 percent off all purchases at the Gardens’ plant sales and access to preview sales, free admission to select programs and member events, and a 10 percent discount at the Terrace Shop. Higher-level members receive additional benefits. Members have the satisfaction of enabling Duke Gardens to offer free garden admission for all, as well as many free drop-in discovery programs. gardens.duke.edu. Members of these local gardens also receive reciprocal admission and discounts at 300 other public gardens throughout North America and the Cayman Islands. There are also dozens of gardening organizations that you can join across the metro for an even greater immersion into nature’s garden. This non-profit that teaches homeowners how to have a fully sustainable garden for life has a new lecture series as part of its membership. Member benefits include a gathering of like-minded gardeners for quarterly breakfast lectures in Helen’s Haven in Raleigh. beebetter.info. For more gardening programs that you can join in 2017, visit www.TriangleGardener.com/garden-clubs.